An exquisite presentation of delicious Breakfast and Sweet Treats. 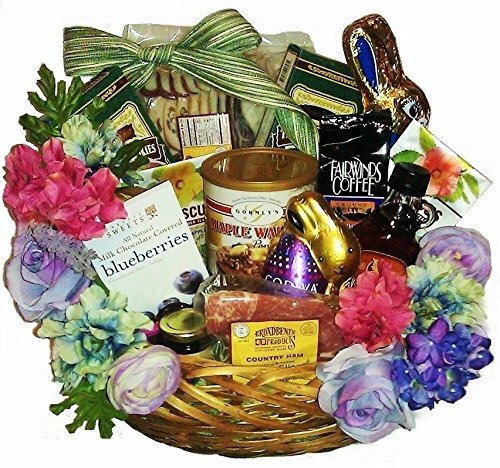 Includes: Delicious Breakfast Ham and Hickory Smoked Bacon from Broadbent's, Gourmet Pancake Mix, Pure Maple Syrup, Fruit Preserves, Coffees and Teas, Fudge, Chocolate Covered Blueberries, Fine Chocolate Easter Bunnies, Truffle Cookies. Beautifully decorated for presentation in an attractive basket. Perfect for Family Easter Gifts.